Which free or inexpensive DAW with VST support would you use for electronic music? I tried LMMS, not my thing. Traction for cheap/inexpensive, Bitwig for expensive option. If it's not done in Buzz, it gets done in REAPER. Yes I guess I should check Reaper out once and for all. You can still have a proper editor in Reaper thanks to scripting and this guy. Made a song tonight with it. If it was mouse clickable it would be amazing. If it was mouse clickable it would be amazing. 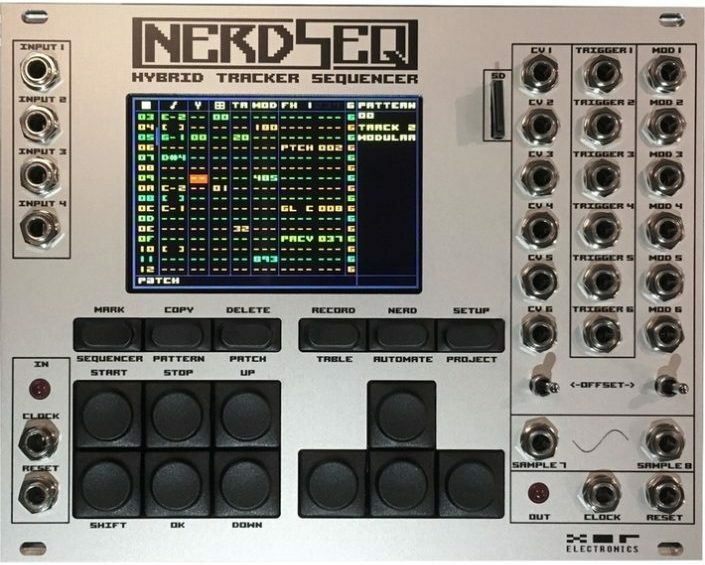 If I had to cheat on Buzz, it would probably be with NerdSeq. Then I'd just have to stumble upon a few thousand dollars to spend on a Eurorack system, and I'd have a fully functional modular tracker once again! Ditto. Reaper's my go-to for recording live instruments/vox, otherwise I've used Buzz for so long that I'm more comfortable in its interface. Buzz and Audacity. Though I've mastered albums using Traverso DAW a couple of times. But basically I work with Buzz for all of my experimental, space rock & other oddities that I create. Presonus Studio One sorry Buzz... but still going back to my old tunes taking large chunks and turning them into new tracks. I wish Buzz would be a VSTi that I could use for sound design/mangling in S1. Ghehehe. Glad you like it. Can I add your GIF to the github page as a demo of the plugin in action? Ah cool! I didn't know it was you. Hello! I also would go for Reaper, it's also cool that there is a tracker script now, very nice.